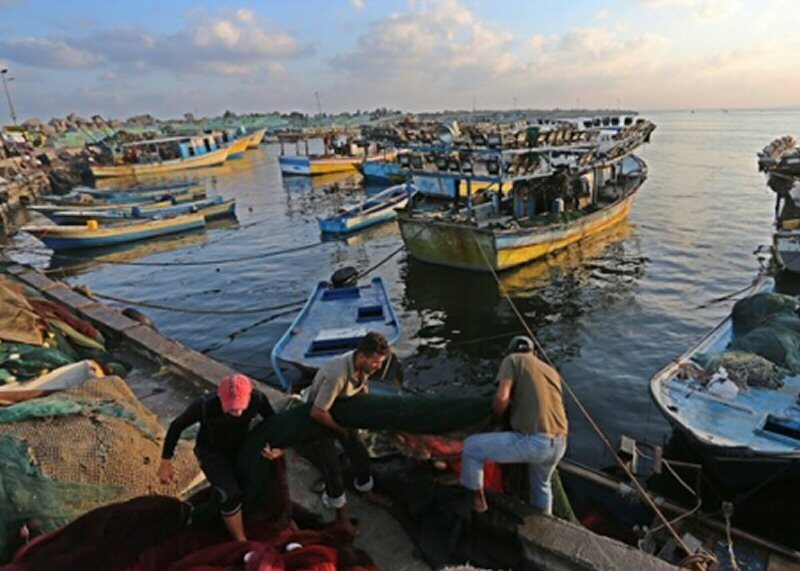 Israel, on Saturday, decided to temporarily reduce the allowed fishing zone, off the coast of the besieged Gaza Strip, for 6 days. Hebrew-language news sites reported, according to Ma’an, that Israeli Defense Minister Avigdor Lieberman decided to reduce the nautical zone allowed for Gaza fishermen in response to Friday’s protests alongside the eastern borders of Gaza, during which 3 Palestinians were killed by Israeli forces. The Israeli minister pledged more strict procedure if “order disruption and violence” continues at the borders. Earlier Saturday, Israeli navy ships also detained two Gaza fishermen while sailing in the northern Gaza shores, according to WAFA correspondence. The navy ships reportedly opened their water hoses at several fishing boats in the area to force them to return to shore before detaining the fishermen, who were brothers, and even though the fishermen were sailing inside the allowed fishing zone of three nautical miles.